It’s new tent time! Who doesn’t love new gear? It just makes you want to jump in the car and drive 4 to 6 hours north and bound through the woods. Today’s excitement is brought to you by the clever folks at Nemo. 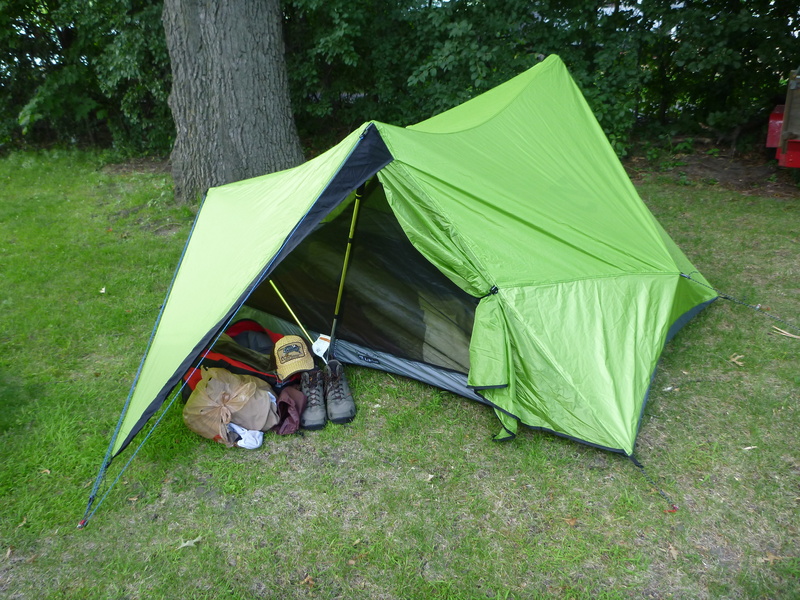 I have been using an REI Quarterdome T2 Plus for a couple years, and I found it to be a great tent. It has tons of room, good ventilation, and proved very storm-worthy. However, it’s not exactly lightweight at over 5 pounds 10 ounces (with footprint). For some reason, I have had an aversion to non-freestanding tents. There’s always been that question of “what if I find a site that doesn’t allow a tent to be staked out?”. I’m sure those sites are out there, but in my years of camping, I’ve never found that site. Well, at least outside of winter, but that’s a season for a completely different tent. 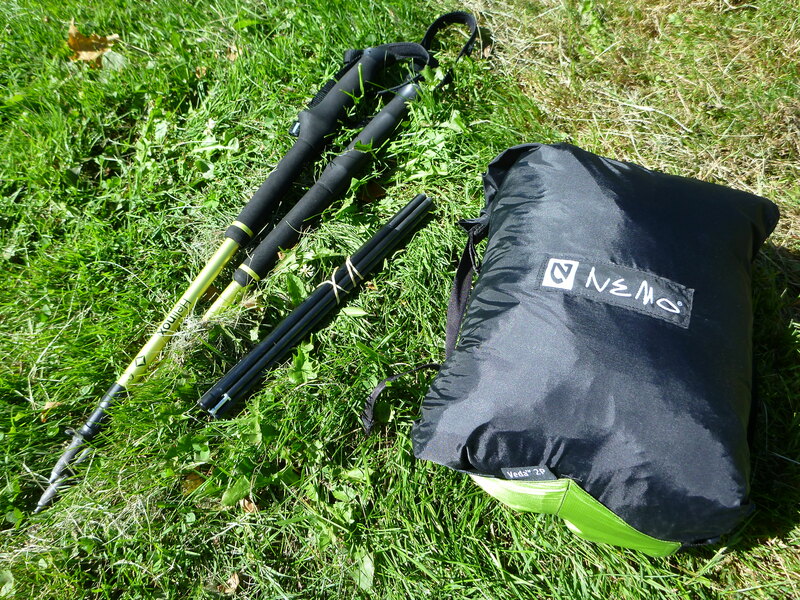 Despite this aversion, I decided to look into some of the trekking pole tents on the market. Finding a lighter weight tent that doesn’t sacrifice too much usable space and storm-worthiness isn’t easy. Especially when factoring in price. I’m not willing to put $500 into a tent just yet. Then, out of nowhere, REI has a fantastic sale on the Veda 2P. (It appears that Nemo is no longer making the Veda 2p. Hopefully that’s not a warning sign.) Not one to scoff at that sort of a discount, I read and watched several reviews. The nay-sayers seemed to have trouble with some of the tent’s design and had trouble coping with a trekking pole tent. I found a way to dismiss pretty much all of the negative reviews, so i sold myself on it. Out of the box, it comes with the side and end guy lines, which are needed for a good pitch. 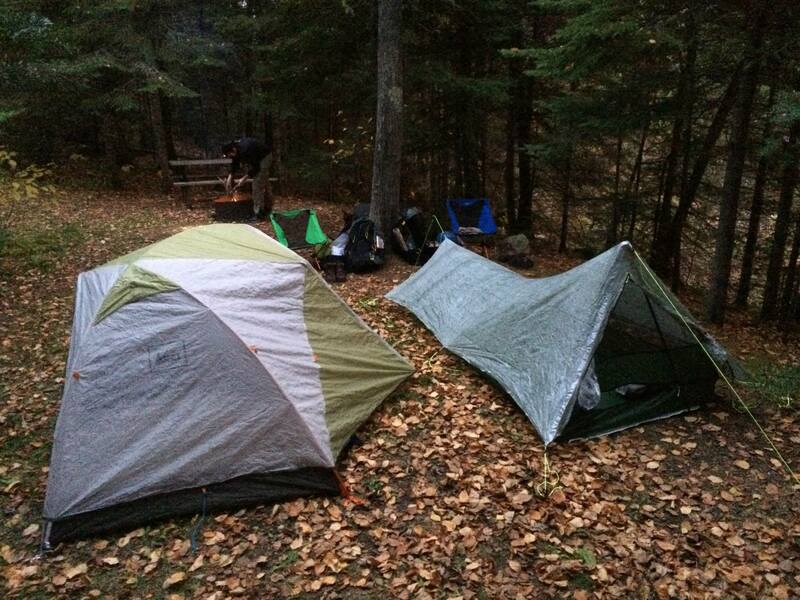 Nemo only provides 6 tent stakes, but you need 2 more to guy-out the ends of the tent. While the tent would certainly stand without the ends being staked-out, it tightens up the pitch and provides a noticeable amount of space at the ends of the tent. I have no idea how companies calculate minimum trail weight for tents. It never seems realistic. My weighing showed the Veda 2P at 3 pounds 7 ounces in its stuff sack with the 8 stakes. Tack on another 2 ounces for the carbon fiber poles which I plan to use when not accompanied by someone with a second set of poles. The inside measures 96 x 53 inches. That’s plenty of room for a 2 person backpacking tent, in my opinion. We’ll see how this guy holds up on a 30 mile BWCA hike in a couple of weeks. I just purchased the Veda 2p. what would you suggest is the proper length to order a set. You mentioned that you ordered 38 inches, would 36 be better? I hate to steer you wrong; I’ve just made the 38 inch poles work. I think 37 would easily be workable, and 36 might be the sweet spot, but I don’t want to sell you on something too short.